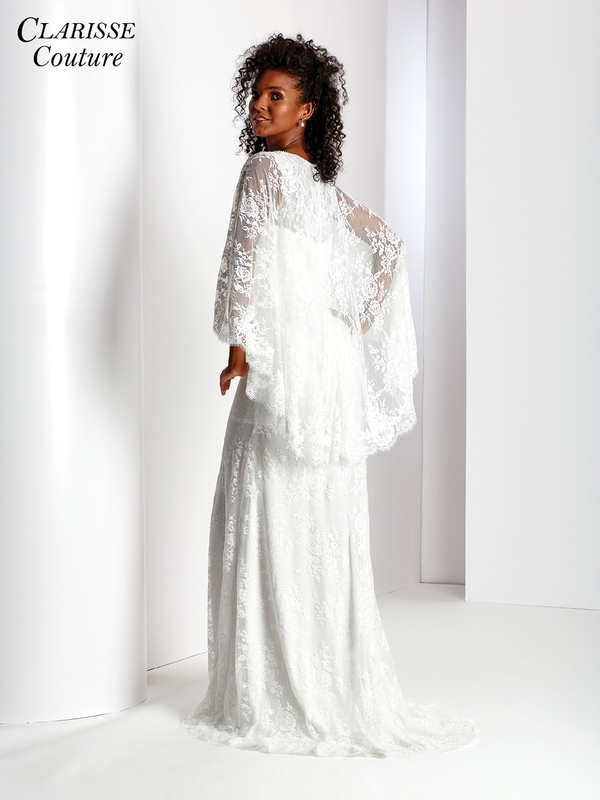 Feeling angelic, or perhaps in need of a little drama (the good kind of course!)? 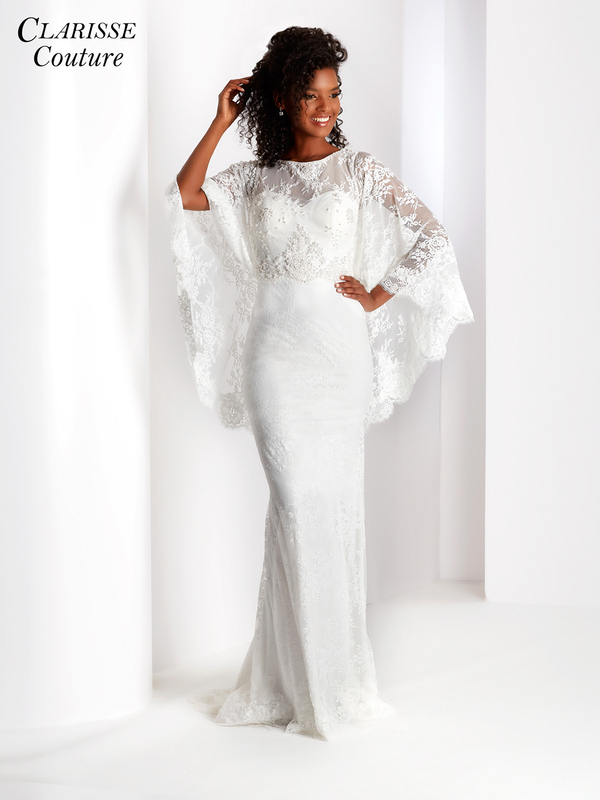 Clarisse Couture 4967 is a heavenly off white evening gown with show stopping fluttering cape sleeves. The bodice features a sheer boat neckline and a flatteringly place beaded belt at the high waist traveling up the bust. The skirt is fitted through the hips and flares out around the thighs into a small puddle train. Made of beautiful lace fabric, this style would make a lovely alternative bridal gown, stand out prom dress, or sophisticated black tie evening gown. Center back zip closure, available in sizes 0 through 28 (Sizes 18 and up are an additional $25).